Normally I write about airline meal reviews, however, this story is just too good not to mention. 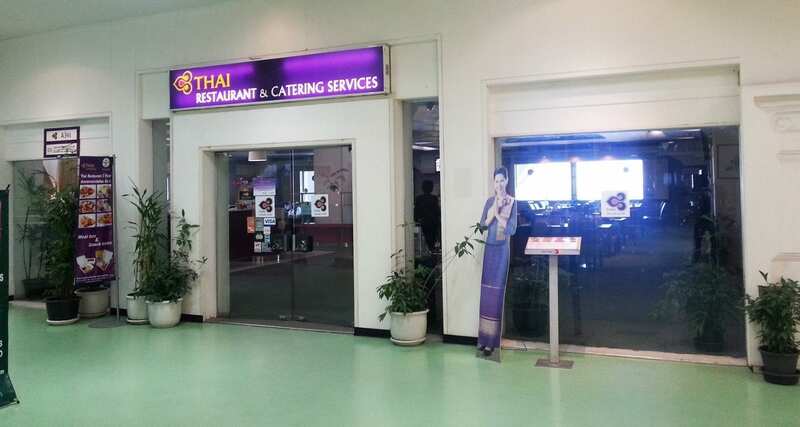 On a recent trip to Thailand to sample the inflight delights of Bangkok Air and Air Asia, I stumbled across this gem at Phuket Airport. It certainly beats a trip to Burger King is a lot quieter than the airport gate areas and has some decent food. 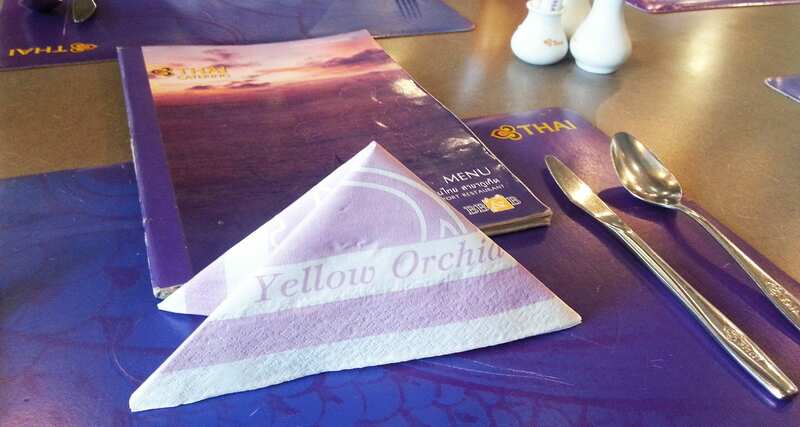 It’s the Thai Airways Phuket Airport Restaurant! 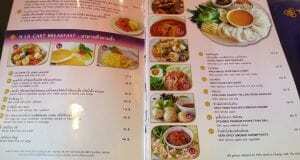 Where is this place? 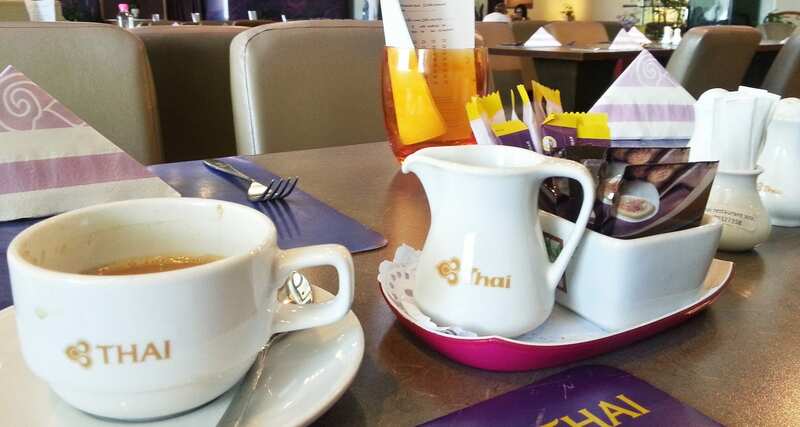 Well, after checking in for your flight find the escalators (or lift) and head up one level where you will find the Thai Airways Restaurant. The restaurant is still relatively unknown, perhaps people assume it’s an airline lounge and continue to walk past or no one ever ventures up to this level of the airport. Regardless this quiet oasis away from the crowds is well worth a visit especially for those who want a partial runway view as well. Although I can’t be sure, some of the cutlery and crockery items do look like they were once used in business or first class — a nice avgeek touch. Just don’t forget that the restaurant is before security so ensure that you leave yourself enough time to make it to your departure gate on time. Not flying through Phuket but perhaps other airports in Thailand? 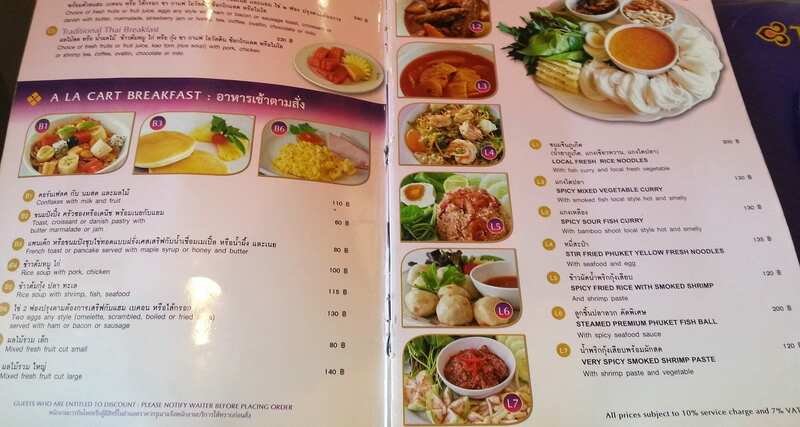 Don’t despair, the restaurants which have been running since 1965 are also available at Chiangmai and Chiangrai airports. Phuket International Airport Level 3. Opening times: 06:30 – 22:00 with seating capacity up to 150. Telephone no. (076) 327-350. Chiangmai International Airport Level 2. Chiangrai International Airport Level 2.